Last edited by AncasterRFD on Oct 25th, 2017 8:45 am, edited 3 times in total. I have bought this a few months ago, great chair. 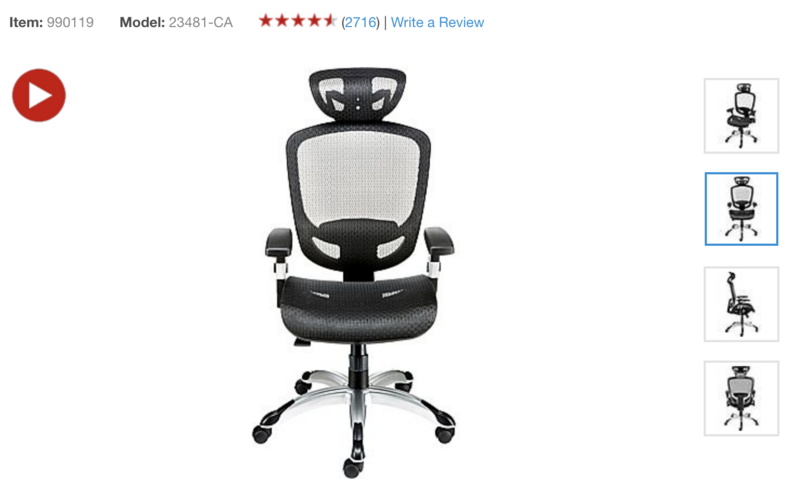 This is the cheapest I've ever seen this chair, this is HOT for this price. Great chair. I'm 6' and found that removing the headrest made the chair much more comfortable, otherwise it sort of digs in to the upper back. $130 is a really good price. Feels much more expensive and it's well built. I have a couple years on this chair, no sag in the seat or wear on the arms. I have a code and it seems I cant redeem it online ? Something about the requesting channel. Design flaw in headrest. Not for tall people. How easy is it to remove the head rest? What's the flaw? and what's considered as tall? Last edited by wildzero on Oct 25th, 2017 9:15 am, edited 1 time in total. a review on amazon says the headrest is adjustable up and down, though its not obviously so. Have you tried this? All-new low for this chair, great price! im tempted to get this chair, but after reading all the negative reviews for tall people i may have to pass up. Any other chair recommendations for someone who is 6'1? I'm in the same boat but am going to give this a shot regardless. Apparently the headrest can be modified to fit taller individuals, but to honest I might just remove it anyways as I don't know how much I like having a headrest. Another alternative for you might be the Ikea Markus. It seems to cost a little more, and doesn't have adjustable arm rests, but some people really like it.